The U.S. government passed the Resource Conservation and Recovery Act (RCRA) in 1976. The law was created, in part, in response to the increasing opposition to the establishment of new hazardous waste disposal sites throughout the United States and was intended to develop a network for the appropriate, safe management of hazardous waste. Ignitability, which includes substances that are flammable. Corrosivity, which includes things that can decompose or rust. Reactivity, which accounts for substances that can result in explosions. Toxicity, which involves anything poisonous. 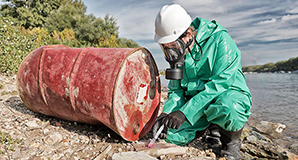 Our RCRA hazardous waste course and CA Title 22 Hazardous Waste Course is designed to teach employers and their employees how to protect themselves, the public and the environment from the dangers that can result from the presence of hazardous waste in any of its forms. Hazmat School offers people who work with hazardous waste the chance to earn their hazardous waste certification online. Our training course is guaranteed to satisfy the federal training standards to ensure you remain in compliance with relevant mandates. 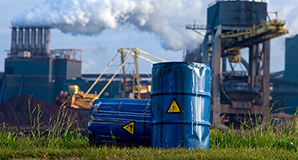 Our RCRA Hazardous Waste Course is designed to teach employers and their employees how to identify, store and manage regulated hazardous waste in accordance with the Resource Conservation and Recovery Act. There are various types of waste generators located throughout the country and around the world. In general, a waste generator is any entity that produces or brings about a waste that’s considered hazardous as the result of its uses or processes. Waste generators are broken into three categories depending on the amount of waste they produce. The regulations that a given waste generator is subject to are contingent upon its categorization. No matter what type of generator category you fall under, our RCRA Hazardous Waste Course will satisfy all three of these generator requirements. Hazmat School’s RCRA Hazardous Waste Generator Course is for anyone who generates, stores, treats, manages and completes a hazardous waste manifest in any state except California. When you complete this course and pass the exam, you’ll receive an EPA-approved certification immediately. If you are an employee in the state of California and you generate, store, treat, manage or fill out a hazardous waste manifest then you are required to take a course more stringent than the federal levels RCRA Hazardous Waste Course. Hazmat School offers this CA state-specific training for your team. Our CA Title 22 Hazardous Waste Course #1398 will meet the requirements found in the federal regulations but will also cover the more stringent rules that the DTSC has made to them as well. 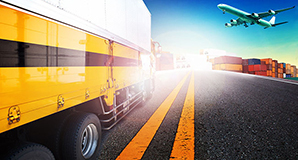 We know you have plenty of options with which to complete your required training. One of the leading reasons you should train with Hazmat School is that we offer hazardous waste courses online, enabling you to complete your training on your own schedule. When you complete your training and pass the exam, you’ll receive your online hazardous waste certification instantly. If you’re an employer, you’ll be able to monitor your employees’ progress and have access to their certifications any time you want or need to. Our hazardous waste courses are affordable for individuals and businesses alike. In fact, we’ll beat any of our competitors’ prices. We offer discounts of up to 20 percent for corporate and group account holders as well as government employees. People who take our courses have access to instructors around the clock. And our knowledgeable customer service reps are always standing by. Whether you need your initial hazardous waste certification or your refresher, we’ve got you covered! Sign up for our RCRA Hazardous Waste Couse (covers 49 states minus CA) or our CA Title 22 Hazardous Waste Course (CA employees only) today.